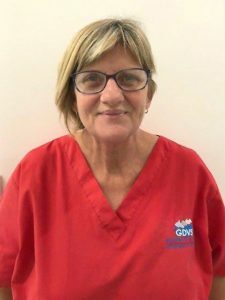 Tracy was born and raised in Goondiwindi, and is the backbone of our practice. She started with the business when it first opened in 2011, and is never allowed to leave. When she is not at work, she is playing with her beautiful grandson and 2 daughters. Her dog Millie often visits the clinic for haircuts.